The gentle breeze swept in from the ocean as the sun started to rise above the horizon. We sat on our wooden balcony overhanging the sand; nibbling on fresh melon and enjoying the beautiful scene unfold in front of us. There were no other souls around at this time. It seemed as though we were the only people on the planet. Life in Jamaica had moved very fast for us, whizzing around the north and the east of the island trying to absorb as much of the beauty and culture that we could. 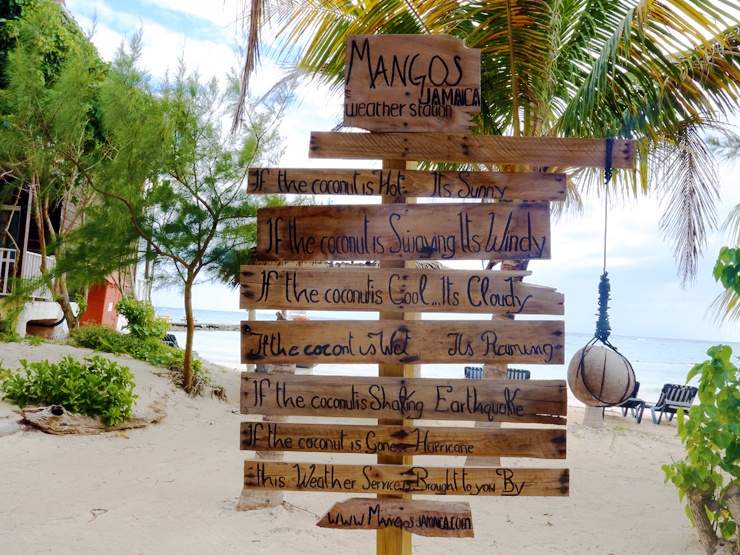 So when we made it to Mangos Jamaica, the change of pace was very welcome indeed. 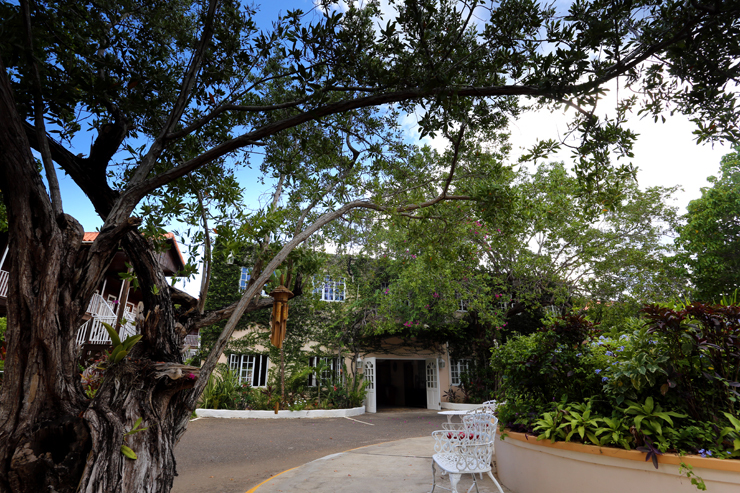 This all-inclusive boutique beach resort of 48 rooms had just undergone a complete refurbishment and prides itself on its “true Jamaican personality”. 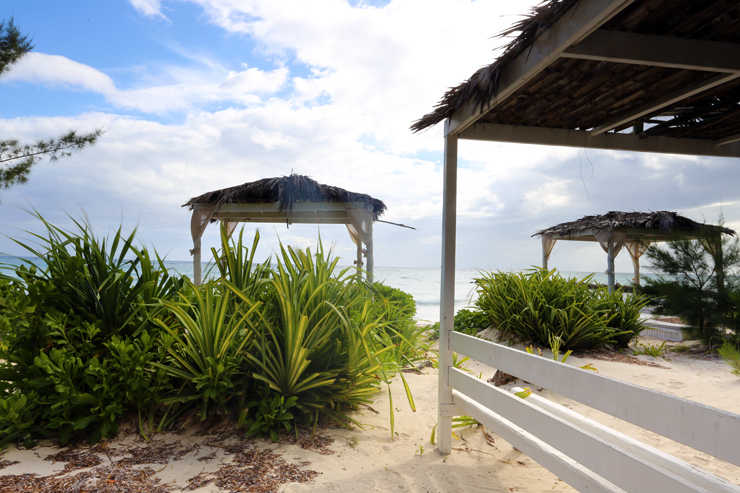 The blossoming tropical gardens and traditional cabanas nestled along the powdery white sand are truly the paradise you would associate with Jamaica. There is also a large pool sporting an impressive slide against the backdrop of the sparkling ocean. 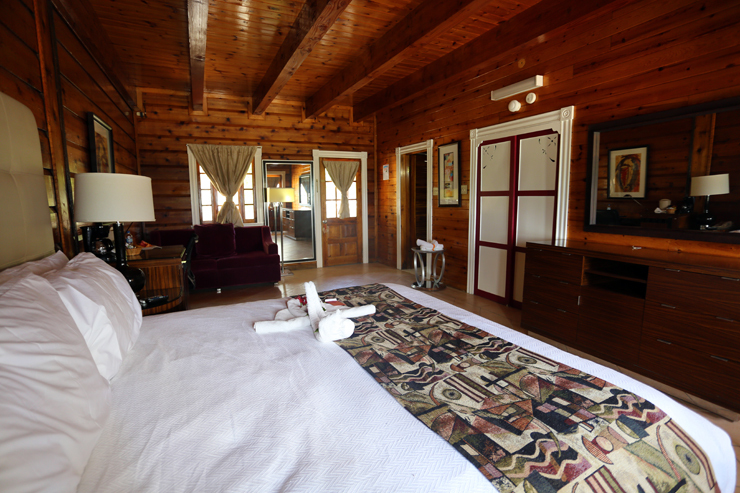 We stayed in room 704 in Madame Frances Block 7, an oceanfront superior king room. The room was very spacious and modern, with the most comfortable bed. The shower was luxurious and the complementary toiletries smelt divine. However, the best part of our room was the balcony. It actually overhung the beach; you couldn’t get closer if you tried. It really made the stay feel special. Situated on the North West coast of Jamaica in Coopers Pen, Trelawny, Mangos Jamaica is only a half hour car ride from Montego Bay International Airport. There are some pretty interesting things to do nearby, including boat trips on the Luminous Lagoon. 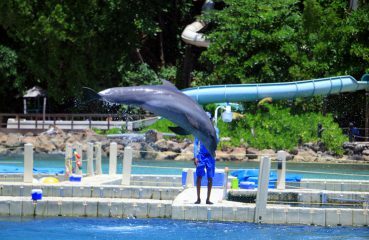 Ocho Rios to the east is easily reached within an hour by car too, granting you access to tourist favourites such as Dunn’s River Falls, Island Gully Falls and Dolphin Cove. 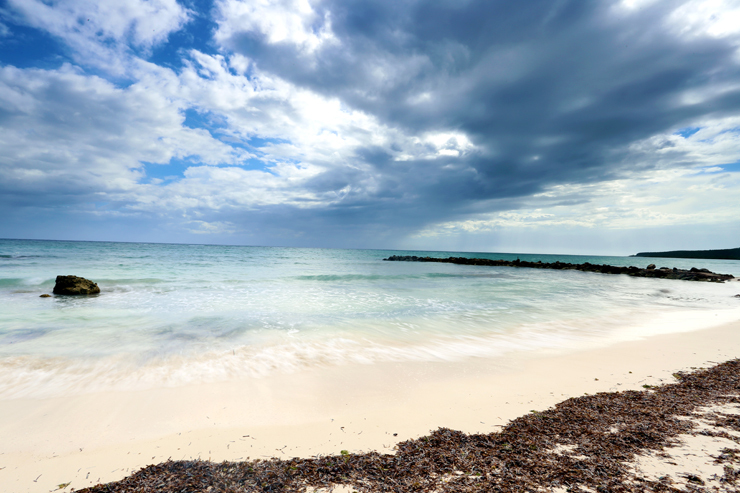 The private beach is picture perfect with powdery white sand, clear waters and lots of secluded places to relax and enjoy the beautiful Jamaican weather. The morning that I took this photo had been high tide the night before which brought in a lot of seaweed. However by 9am that morning it had all been cleared off the beach so you would have never have known. The staff really go out of their way to make your stay special. 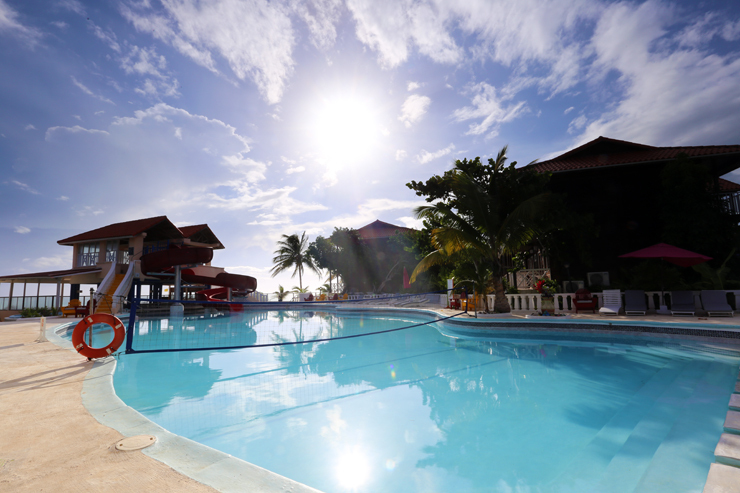 The pool is huge, in case you need a break from all that sand and salt water. There are lots of sun loungers and even a little submerged terrace at one end where you can sunbathe IN the pool on your lounger. 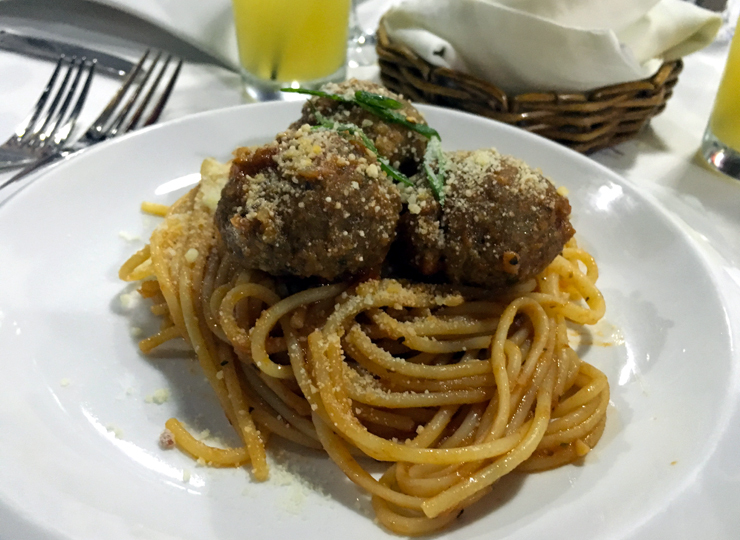 We were famished by the time we arrived and went straight to dinner at the small Italian Bistro; Cafe Cantina (make sure that you make a reservation). It was situated overlooking the grounds and had a nice cooling breeze flowing through the terrace. They serve a mixture of salads, soups, pasta and pizza. The dishes are all cooked to order and are made with the freshest ingredients. The deserts all sounded amazing but we didn’t have room, since the portions are generous (and we took full advantage of the salad bar). This wasn’t a problem though, as the staff packaged up our deserts and we ate them later on our picture-perfect balcony. For breakfast there is an unlimited choice of fresh fruits and pastries and you can also order additional items such as eggs. 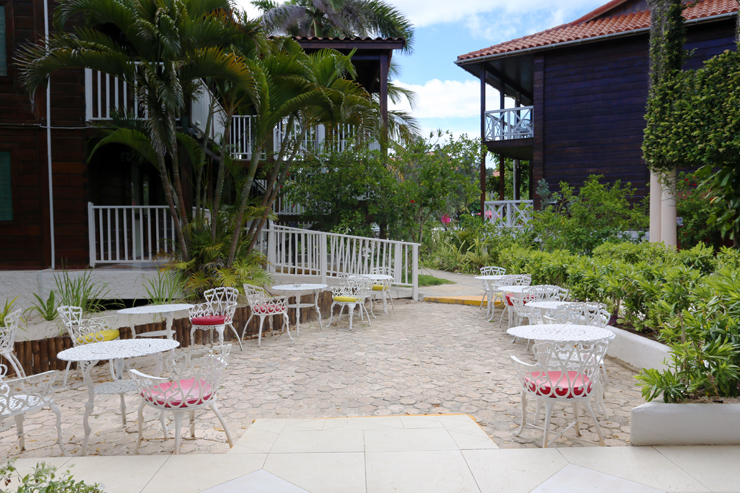 There is the main seating area or this pretty dining patio, which we found to be the perfect place to start our day. What made our stay special? The service. Hands down, the service was great. From the moment we arrived through the secure gate everyone was very eager to please. We were met at reception and walked to our room. All the staff we met throughout our stay were very helpful, including the breakfast staff helping to carry our food from the buffet, and genuinely happy to ensure that we had a great stay. Since our room was right on the beach, the soothing sound of the waves was perfect to lull us to sleep. There was a handwritten note from the manager and a Mangos Jamaica bracelet waiting on the bed in our folded towel display which was a nice personalised touch. The fresh fruit platter was a lovely welcome gift too. The only negative was that the air conditioning unit was directly over the bed and it was quite hard to get under control. Perhaps this was just our inability to work the system though. 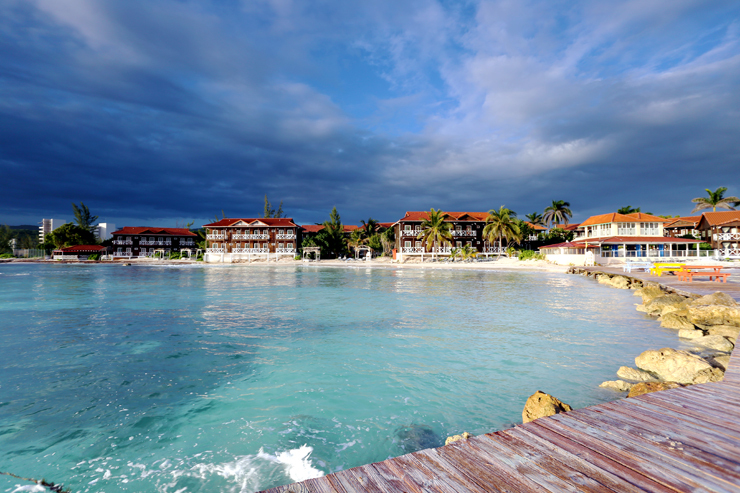 Mangos Jamaica is the perfect alternative to the nearby mega resorts. You still have all the amenities, service and idyllic views but in a more intimate setting. There is also an abundance of facilities; tennis courts, spa, gym, etc. so if you get tired of lazing around enjoying the gorgeous view, beach or food there is plenty to do. To find our more visit their website. Thank you to Mangos Jamaica for sponsoring our stay, however we had a fantastic time and our opinions are always honest and our own. The food and that beach all look amazing. Anytime I can hear the sound of the water… it’s a great place to stay! 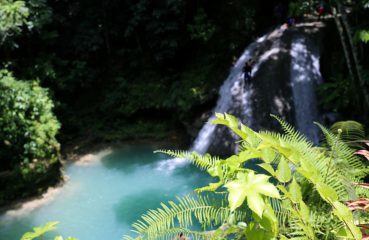 This post makes me want to go back to Jamaica stat! This resort is beautiful and I love that the pool has a slide. The rooms are gorgeous, too! Your photos look pretty too! It looks super nice! There really is nothing better than falling asleep to the sound of the ocean just outside your room! I love it when hotels go the extra mile to give a personalized touch! Love the note. I always prefer these small, boutique places over the big resorts. This one looks just delightful!! Wow, looks beautiful and it’s nice to not support the big guys. Everything looks perfect and it’s always memorable to stay in places with friendly staff!